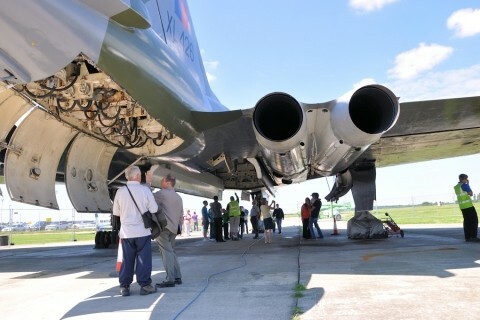 Visit the Vulcan Days are your chance to see XL426 close-up and find out more about the role she played in the Cold War. 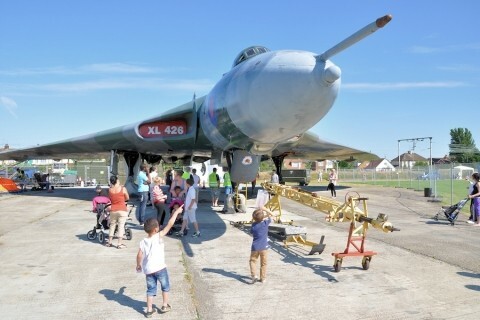 There is plenty for all the family to see and enjoy, with displays of the equipment and weapons (including a nuclear bomb) that XL426 carried during her time with the Royal Air Force. Our experienced volunteers will guide you under the Vulcan’s mighty delta wings, explaining how it all worked, and for a small additional charge you can climb inside XL426’s cockpit to experience first-hand the cramped conditions in which her five man crew had to work. Refreshments are available throughout each day and our extensive range of Vulcan souvenirs will be available to buy from our stand. Entry and cockpit tickets are only available on the gate on the day – there are no advance ticket sales.